As devastating wildfires currently ravage parts of California, another horrifying reality is also taking place. 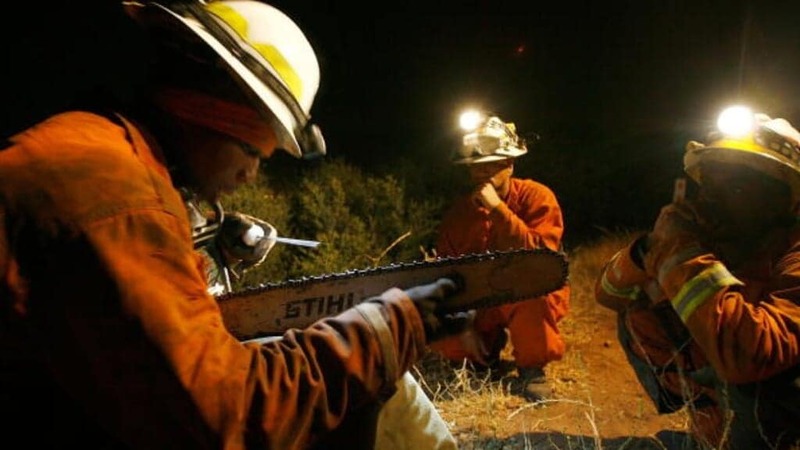 As the Camp Fire in Butte County, California, which as killed over 50 people thus far and has become the deadliest wildfire in the state’s history, close to 4,000 incarcerated workers are being paid less than $2 an hour to risk their lives. You heard that right: Inmates are right now working alongside professional firefighters to suppress these deadly flames for the price of a cup of coffee. Even worse, current policies prohibit such workers to be hired as professionals once released from prison. Translation: Inmates, typically Black and Latino, are being taken advantage in the midst of a crisis. 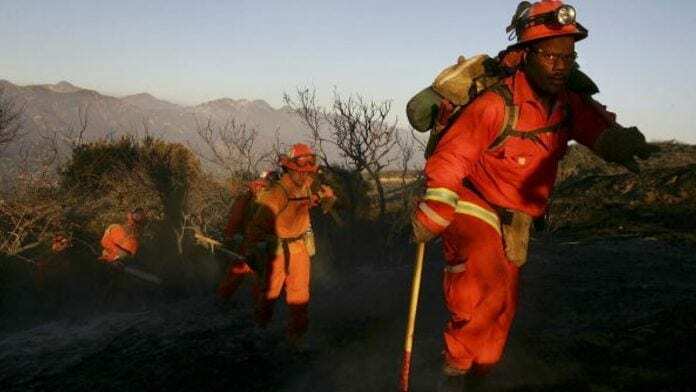 These participating inmates are part of a volunteer firefighting program run by the California Department of Corrections and Rehabilitation (CDCR) where they are paid $2 a day ($1 an hour) when fighting an active fire, and time off from their sentences. Might seem like a novel idea, but there’s nothing new about this practice, which has been going on since 1915. 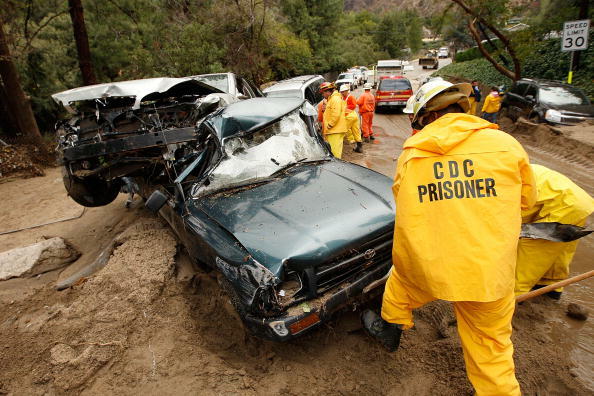 The CDCR first created labor camps that forced inmates to build highways and roads without compensation back then, but now, over 3,400 inmates are participating in the combined 43 adult conservation camps created by the CDCR, CAL FIRE and the Los Angeles County Fire Department. According to the CDCR, the program saves California between $90 and $100 million a year, which has basically turned cheap prison labor into another gross reason to incentivize mass incarceration. In 2014, lawyers for then-California Attorney General Kamala Harris argued that releasing non-violent inmates early would harm efforts to fight the state’s wildfires. In other words, California relies on mass incarceration to benefit their state and they aren’t letting go of over 100 years of prison labor anytime soon. While some may argue that giving prisoners such opportunities is promising, this is still a form of exploitation. To underpay inmates for a service that involves them risking their lives in labor that includes inhaling toxins, cutting firelines, and working with heavy machinery to block fires is taking advantage of their circumstances. What’s worse is that such deeds done by these inmates will go unnoticed and non-transferable once they are released. Most fire departments require firefighters to be licensed EMTs, but certifying boards usually deny applicants with a criminal past. And, yet somehow this doesn’t apply to individuals doing said work while incarcerated. It says something about the state of our current justice system when one could easily become a firefighter behind bars, but then be denied the opportunity to use those skills once released. What’s even worse is knowing that the government is using exploited labor from inmates to save lives, but not doing anything to help these men and women seamlessly reenter society. After all, isn’t that theoretically what prison is supposed to be about? Many of these inmates being exploited are most likely Black, and once again, they are subjected to chain gangs that use their labor as an additional penalty. Historically, chain gangs were the inhumane practice of chaining inmates together as they perform everyday manual work like picking up trash, making manufactured products, working on construction projects and yes, putting out wildfires. Some viewed this labor as a form of punishment, but proponents of this have forgotten that spending hard time behind bars away from society is already a form of punishment. Inmates should not become slave chattel once they are behind bars. Although said practices are currently being presented as “volunteer” work opportunities, who is to say that inmates are truly making an uncoerced choice in volunteering for this work? And if so, why aren’t the conditions reasonable for them? If you were an inmate and wanted to shave time off your sentence, should fighting a deadly fire be the immediate offer provided? The culture of American prisons is one that preys on desperation, vulnerability, and fear. Such firefighting programs that ask for “volunteer” inmate labor is purposely setting up a trap to exploit some of our most isolated members of our society. Inmates don’t belong to labor unions that can fight for better wages, they don’t get to negotiate the terms of their work conditions as well. Waving money (no matter how much) in front of a group of people who have none to perform excruciating work is pure manipulation. Sadly, mostly Black and brown people, who are hit the hardest by mass incarceration, are being subjected to a modern day form of slavery that is more nuanced and deceiving than imagined. At this point, it’s time to confront our current elected officials in each state who support this form of exploitation. Regardless of how we personally feel about crime, perpetuating inhumanity doesn’t bring us any closer to improving the society we live in. We can’t advance as a people if we continue to allow a new form of Jim Crow slavery to take place behind bars. Ernest Owens is the Editor of Philadelphia magazine’s G Philly and CEO of Ernest Media Empire, LLC. The award-winning journalist has written for USA Today, NBC News, BET, HuffPost and several other major publications. Follow him on Facebook, Twitter, or Instagram and ernestowens.com.